I did not see the birch trees when I first arrived at the Martin de Porres Center. I was too busy navigating unfamiliar territory – my GPS says it’s right here, but I don’t see the entrance. Where should I park? Which building is where we are meeting? I had come to a gathering for Shalem grads and friends in Columbus, Ohio, feeling the need to reconnect with my Shalem peers and rekindle my passion for contemplative practice. When we took a brief, mid-morning break, I walked outside to bask in a few moments of long anticipated spring sunshine, and there they were. A grove of birch trees, some with roots exposed, all with bark peeling, buds hinting at leaves beginning to unfurl. It was lovely. In the afternoon, I attended a workshop on finger labyrinths, and part of the resource material told of “releasing” as you enter the labyrinth. “Let there be a shedding, a letting go of the details of your life, let go of control or expectations, allow your mind to become quiet,” it said. A self-directed prayer station was listed as “Decluttering,” although the handout heading was “Making Room for God.” I was invited to examine my life and notice the clutter that gets in the way of my being with God and to let it go. Are you sensing a pattern here? I did. Shedding, releasing, decluttering…letting go of my details, noticing God’s details, making room for more of what I truly need. The Spirit and the birches showed me what I needed that day. Is there something you’re being called to shed to make room for something new? What newness might fill that space? Love this metaphor for the entering process for my labyrinth walks. Must find this place when I return to Columbus next time. What a beautiful reflection, metaphor and poem. Thank you for reminding me I don’t have to hold onto everything nor is it my responsibility to keep it all together all of the time. 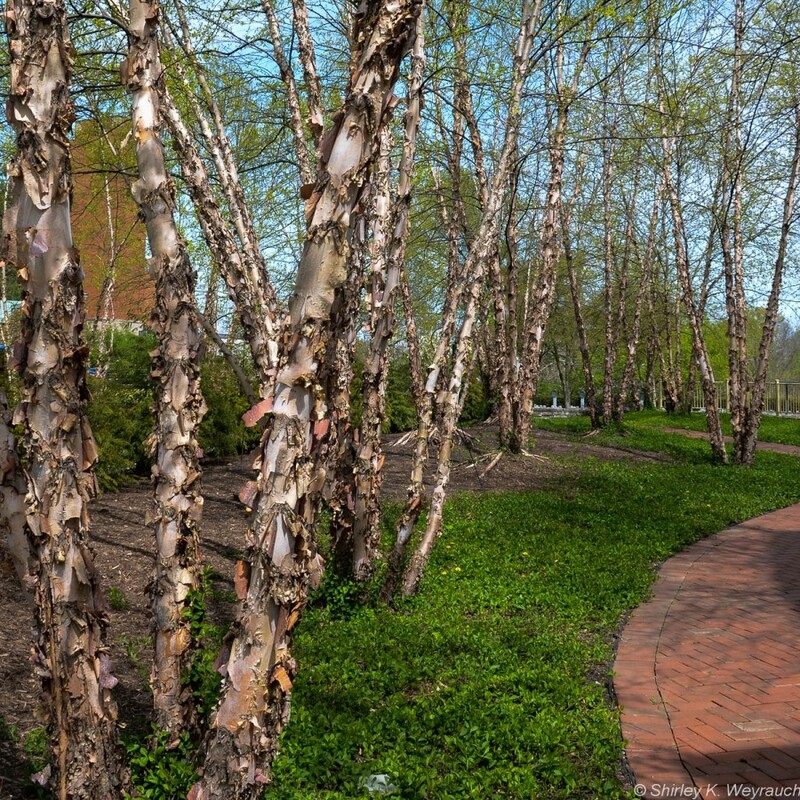 The peeling bark of the birches (something we don’t have here in Southern Cali) is a beautiful memory from my childhood and helpful to me once more. Bless you.